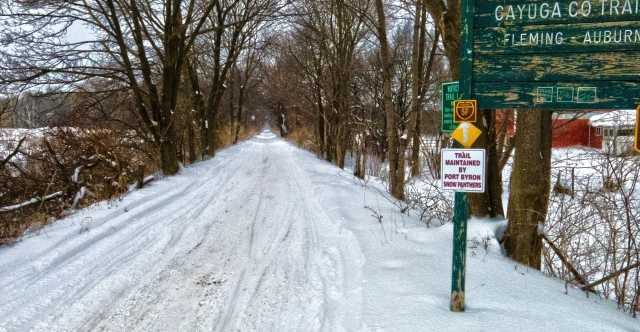 Whether you want to cruise through fields, hills, or forests you&apos;ll find a Cayuga County trail that is sure to please. Ride the trails north all the way to Lake Ontario or head south and spend the day exploring Bear Swamp State Forest. If you are looking for an extended ride the trail system also leads into Tug Hill and to the Adirondacks region. While you are out be sure to stop along the way at a local restaurant or pub. 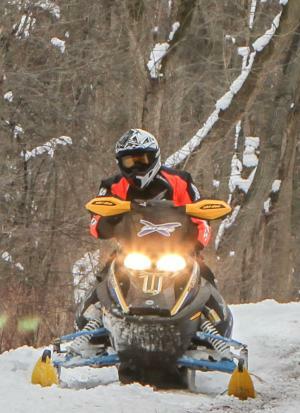 If you are looking for more information reach out to one of the snowmobile clubs for the county. Trails open December 19th , snow permitting. The Cato Trail Blazers Inc.
Finger Lakes Trail Runners, Inc. Please note: Snowmobiles must be registered and insured while using public trails, and snowmobilers must wear helmets at all times. Riders must stay to the right on the trail. The trail speed limit is 55 mph unless posted otherwise. Children between 10 and 17 must take a snowmobile safety course and receive a certificate of completion. Youth ages 10 through 13 may operate a snowmobile off their own property while accompanied by (within 500 feet of) a person at least 18 years of age. Youth ages 14 through 17 may operate a snowmobile off their own property without an adult. For your safety, please stay on designated trails and stay off rivers and lakes.